It’s no secret I’ve got a bit of a sweet tooth (I love sugar) so I was pretty excited to be left in charge of this week’s Best Of Canberra for locally handmade sweets. There were a few different nominations this week: cinnamon scrolls from Sweet Bones, baklava from Turkish Pide House in Yarralumla, doughnuts from Chasing Mr Morris, and Little Monster chocolates. The most nominated place was Frugii, and tied second were Paleo Perfection and Enigma chocolates. So I set out to try all three! First stop was Paleo Perfection at the Kingston Foreshore. 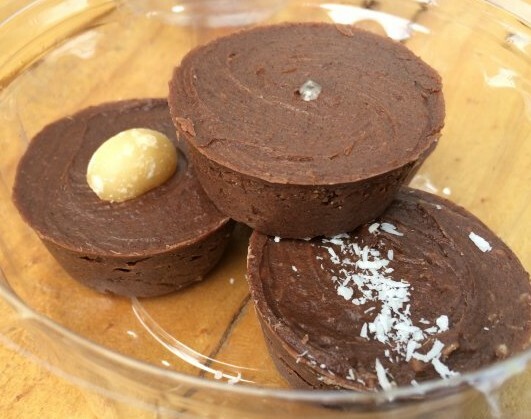 Paleo Perfection is a paleo cafe that doesn’t sell products with grains, most dairy or refined sugar, so its chocolates are a little different to the traditional kind (they’re made with coconut oil and cacao). We ordered three small chocolates: a coconut one, a salted caramel, and a macadamia. These weren’t quite to my taste. Some people might like ‘healthier’ chocolate, but I think I prefer the truly indulgent types. 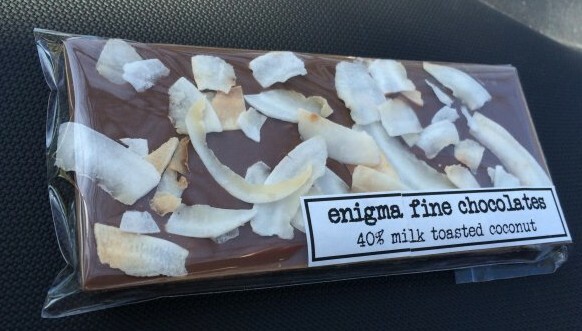 Next I tried Enigma Chocolates. These guys are usually at the Old Bus Depot Markets in Kingston, but they didn’t have a stall this week. I contacted them on Facebook to ask if I could source their chocolates anywhere else and the owner, Stu, kindly invited me around to his family home to sample some treats. I met his lovely partner and beautiful daughters (and pet bunnies). I took home two chocolate bars – a 36% caramelia popcorn, and a 40% milk toasted coconut. OMG is the only way to describe them. So unbelievably delicious. The chocolate was just perfect. Probably the best I’ve ever had. 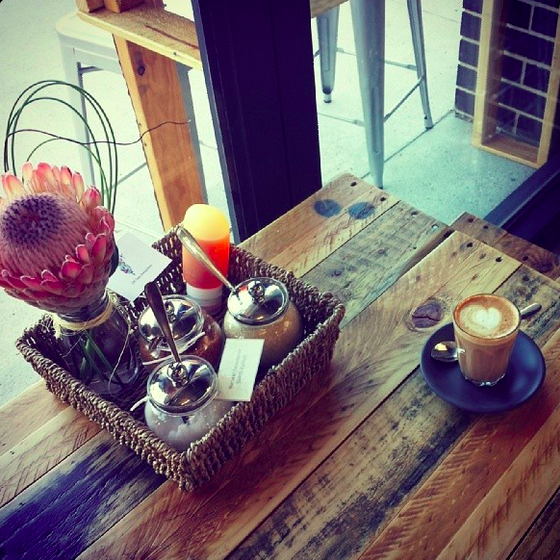 Onto Frugii in Braddon. I go to Frugii semi-frequently but only ever have ice cream, so this time I thought I’d better try something different. The lovely staff member told me that the salted caramel choux was pretty popular, so I went with that. I discovered there is a reason why it is so popular. It is superb. The outside was just the right balance of crispy and soft, and the inside was silky smooth. Amazing. It’s pretty hard for me to decide between Enigma chocolate and Frugii choux, because both of them are pretty different and aren’t really comparable. So, I’m calling it a tie. Enigma chocolate and Frugii choux are both winners for the Best of Canberra local handmade sweets.